Network traffic prediction based on massive data is a precondition of realizing congestion control and intelligent management. 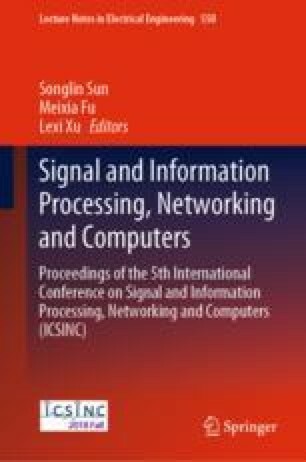 As network traffic time series data are time-varying and nonlinear, it is difficult for traditional time series prediction methods to build appropriate prediction models, which unfortunately leads to low prediction accuracy. Long short-term memory recurrent neural networks (LSTMs) have thus become an effective alternative for network traffic prediction, where parameter setting influences significantly on performance of a neural network. In this paper, a LSTMs method based on genetic algorithm (GA), GA-LSTMs, is proposed to predict network traffic. Firstly, LSTMs is used for extracting temporal traffic features. Secondly, GA is designed to identify suitable hyper-parameters for the LSTMs network. In the end, a GA-LSTMs network traffic prediction model is established. Experimental results show that compared with auto regressive integrated moving average (ARIMA) and pure LSTMs, the proposed GA-LSTMs achieves higher prediction accuracy with smaller prediction error and is able to describe the traffic features of complex changes.